Less than 30% of our planet is made up of land so as divers we are extremely privileged to be able to explore some of the other 70%. Not all of our oceans are bordered by coral reefs however, with some excellent diving and stunning marine life able to be found in areas where you would least expect it. 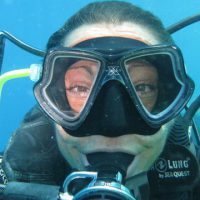 Let’s talk “Muck Diving”. 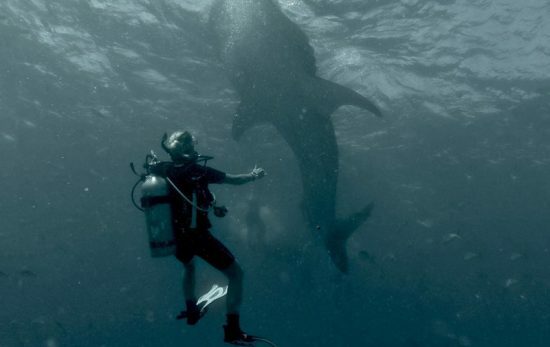 What is “muck diving” and why should you try it? The term “muck” diving actually takes its name from the sediment that lies on the bottom of many dive sites. This sediment can be a mixture of sand, silt and unfortunate natural debris such as dead corals or coral rubble. For most muck diving aficionados they will still remember their first experience of muck diving – and for good reasons. As divers we learn about healthy reef systems and how beautiful they can be. 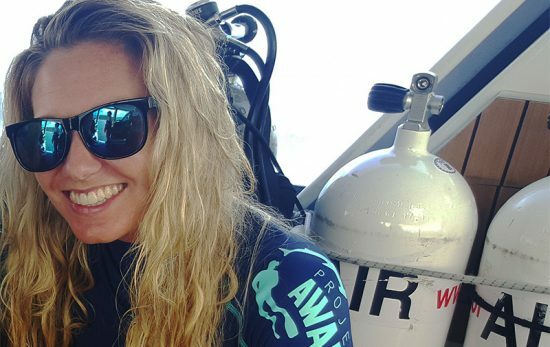 This is what many divers spend their spare time and (often quite considerable) finances globetrotting around the world in search of. Did you know that sand and silt and yes, muck – can be just as beautiful? Muck diving is something every seasoned diver NEEDS to try, especially those into macro-photography. Careful though, it can be highly addictive! Compared to reef diving where you can look around and admire the whole reef scene, muck diving takes a more focused approach. With a lack of what we traditionally believe to be an aesthetically pleasing reef view, you have to focus very closely on the bottom searching for anything that looks like it doesn’t quite belong. 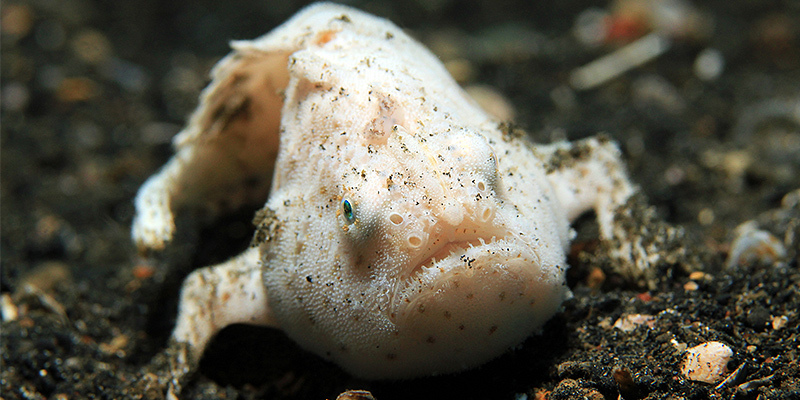 Don’t just swim over that “leaf” – at a muck diving site it could easily be a cockatoo waspfish! Look at everything but not just by giving it a cursory glance, study everything and look out for features such as distinguishable fins or eyes. 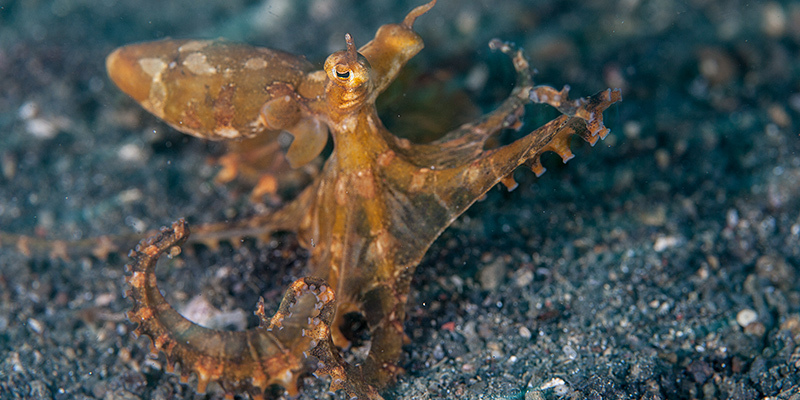 Although the critters at muck diving sites are perfectly at home on the exposed bare sands, they often still seek shelter from currents and places to hide from predators. With limited options this means that any foreign matter on the sand is a potential beehive of activity. Once you have spotted a potential “hotspot” (such as items of debris), approach slowly to observe and closely inspect it! Muck diving tip! Remember that you see what you expect to see, so if you are looking at some tangled rope, without really studying it you will see only tangled rope and miss the ornate ghost pipefish that is hovering alongside it! Take your time and carefully focus on each object. Look underneath things – numerous cleaner shrimp and commensal shrimp species hide in the shady areas around the base of rocks and tree branches. The most important thing to bear in mind though is caution. Because some critters are so well camouflaged it can be very easy to accidentally brush up against them. Remember to maintain excellent control of your buoyancy at all times. Silt is VERY easily disturbed and a careless fin kick can result in a silt cloud which limits visibility and takes a longer time than sand particles to settle. When finning, kick slowly – remember this is not a race and you need time to find things. Use a froggie-style technique keeping your fins raised behind you. Every now and then take a look back to make sure that you are not leaving a wake of silt cloud behind you! The PADI Peak Performance Buoyancy Specialty course will help you to perfect your buoyancy skills. What marine life might you see? As your eyes start to adapt you’ll be amazed at what rare species you see, amongst some of the most unique and interesting critters are such gems as blue ring octopus, numerous species of pipefish and ghost pipefish, frogfish, stingrays, a huge range of some of the weirdest and most interesting nudibranch, scorpion and lionfish, moray eels, devilfish, stonefish, mandarin fish and this is just to name but a few! What you may also find (depending on where you are diving) is that the number of crustacean species you see on each dive far outweighs the number of fish. Commensal shrimps and cleaner shrimps are hardy species and can be found almost anywhere where there is marine life. 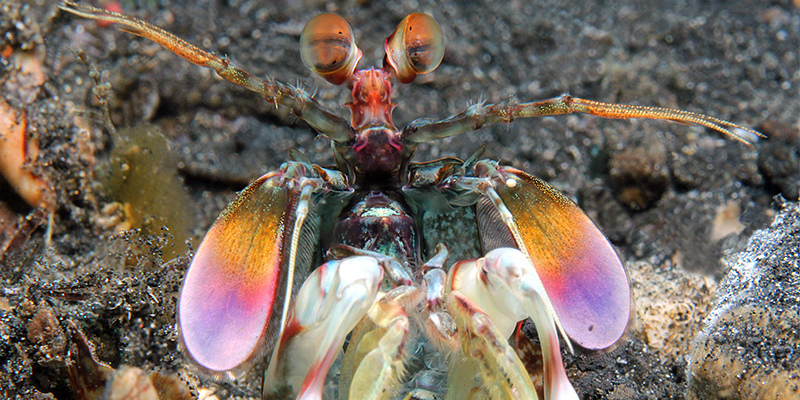 Other sought after crustaceans that you should be on the lookout for include mantis shrimps – both smashers and spearers, harlequin shrimp, marble shrimp, squat lobsters (especially around the base of anemones), upside down jelly fish crabs (yes, they really do exist!) and many different types of hermit crabs. Indonesia is on the top of most divers’ muck diving lists. In particular, the Lembeh Strait – known as the “Critter Capital of the World” due to its high density of weird and wonderful marine life. Other destinations in Indonesia include Ambon Bay and the East and North Coasts of Bali. 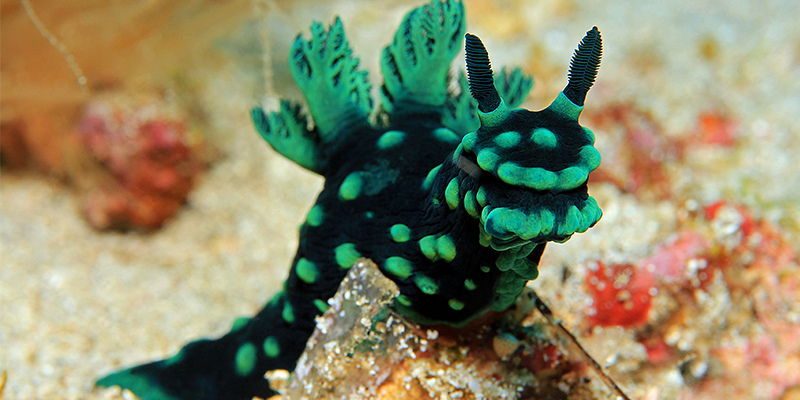 Other famous spots in Asia for muck diving include Anilao and Dumaguette in the Philippines, Mabul and Kapalai Islands in Borneo as well as Milne Bay in Papua New Guinea. Whilst what is referred to as the “best” muck diving tends to be in Asia, there are other great destinations around including California, the Caribbean, Hawaii, Gulen in Norway and Nelson Bay in Australia. Contact your nearest PADI Dive Centre via the PADI Dive Shop Locator to see what muck options are on offer!